LibreOffice Calc is a great free alternative to Microsoft Excel. To get most of it, you will need some keyboard shortcuts. As you will see, navigating, formatting and editing cells are easier with keyboard. To select multiple sheets in a spreadsheet, hold down Ctrl, and then click the name tabs at the lower edge of the workspace. The ` key is located next to the "1" key on most English keyboards. If your keyboard does not show this key, you can assign another key: Choose Tools - Customize, click the Keyboard tab. Select the "View" category and the "Toggle Formula" function. 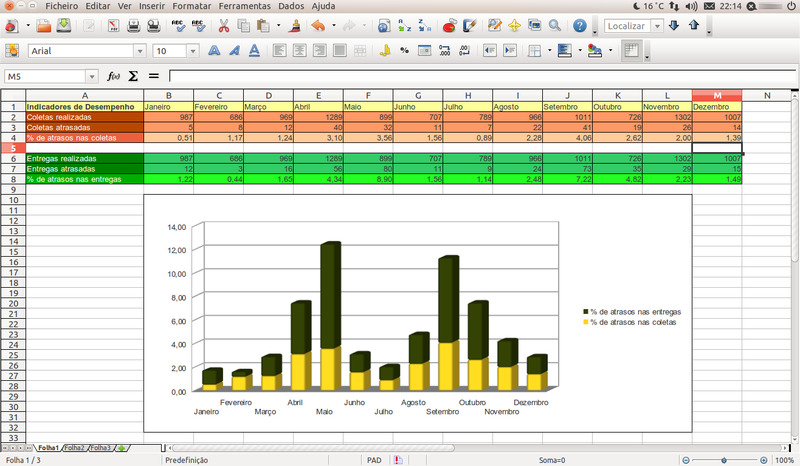 LibreOffice Calc is spreadsheet software from the LibreOffice software package. Calc supports 1 million rows in spreadsheets and can open most Microsoft Excel file formats. Calc is free and open source. What is your favorite LibreOffice Calc hotkey? Do you have any useful tips for program? Let other users know below.